With terrorism on the rise, the constant question on and air travelers’ minds is safety. Due to the terror threat, flying has become more cumbersome than ever. A bottle of soda or some hand cream is out of the question where air travel is considered. Bearing all this in mind, private air charter aboard a private jet is becoming a more viable solution for meeting travelers’ needs. With a private air charter there are no security checkpoints, no luggage limitations and no suspicious characters aboard your flight. The private air charter passenger can relax in safety and comfort aboard a well-maintained private jet and enjoy the ride. Even the in the private jet industry, safety still remains a top priority consideration for private jet travelers and aviation specialists alike. 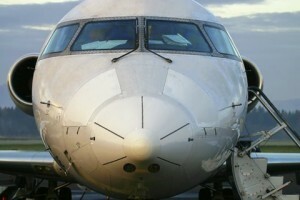 In 2011, we are entitled to expect the number of air related accidents to decrease. It is surprising that while the number of private jet flights increased in 2010, the number of accidents involving private air charters remained the same. When choosing a private jet for air charter, not only do we expect to have all of our luxury needs accounted for, be we expect our safety to be at the top of the list. And while it is the first concern, the statistics show a greater strength in numbers; i.e. the more private air charter flights, the less safety incidents involving private jets. Our goals and our hopes for 2011 are to make aviation safety a topic that makes travelers feel secure and confident in flying both commercially, and even more so, on a private air charter aboard a highly-rated private jet.